so, we went to the Perot! NO crowds; we got to see all the exhibits and spend time with Grandpa, who went with us. It was a good day! I took a "back to school" photo, but the kids asked I not post it. Ok...but it's funny. The Perot has a dinosaur fossil on display in front of the ticket kiosk. Both kids stood in front of it, and right as I went to snap the photo, decided to play fight. :sigh: and :lol: Typical! 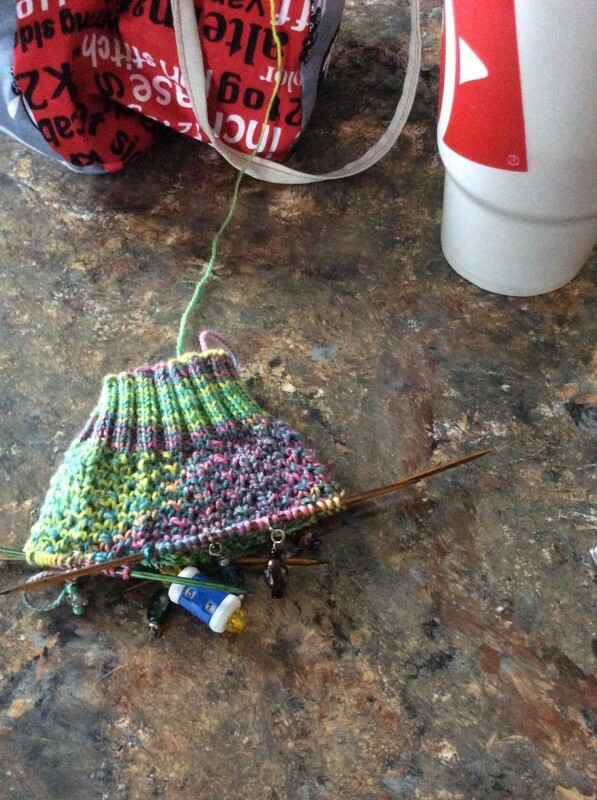 The yarn is lovely to knit with, the pattern is very very easy and intuitive. I like how the colors are working with the lace, but I'm not totally sold on the pooling I'm getting. I looked up the yarn, and it seems that this is typical of this yarn, so :shrug: I'll live with it. 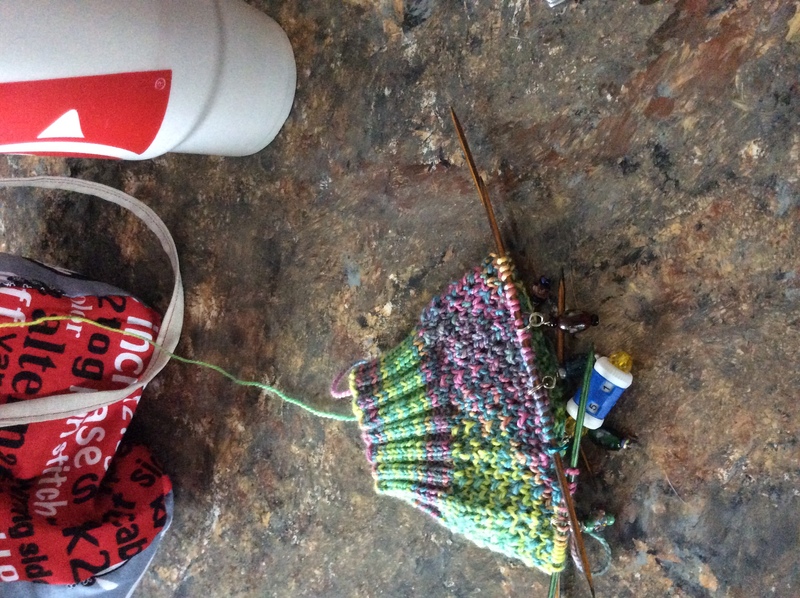 It's a nice, cushy sock so far! The washer is fixed!!! All it was......HImself had overstuffed it when he did his laundry and one of his shirts got in between the drum and the...whatever, and wrapped around the pump. :sigh: We've gone over laundry rules again.....but I have a washer!!!!! Busy day - and I'm tired. Laters! This entry was originally posted at http://fiberaddict.dreamwidth.org/811239.html. Please comment there using OpenID.